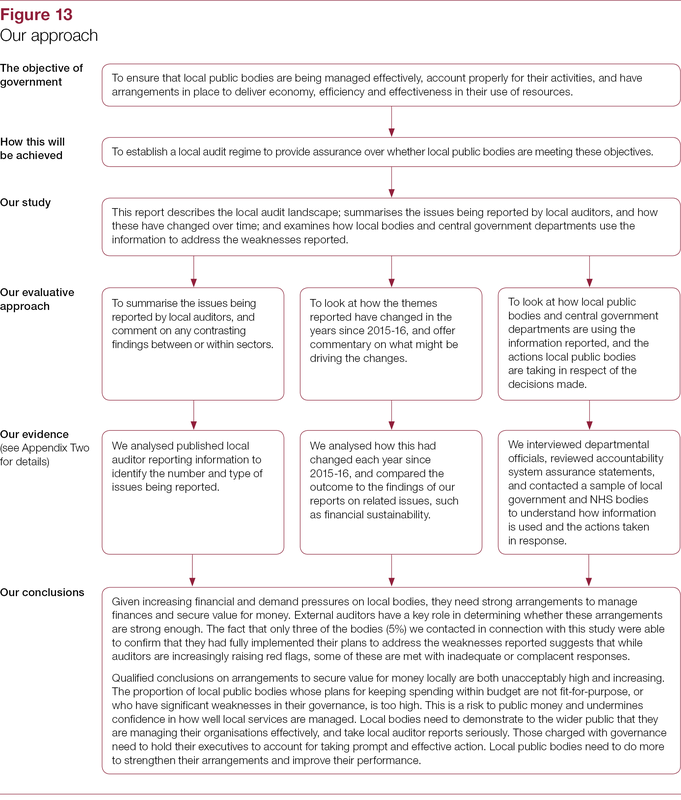 Each year, local auditors give an opinion on whether local public bodies produce financial statements that comply with reporting requirements and are free from material errors and conclude whether local public bodies have arrangements to manage properly their business and finances (the conclusion on arrangements to secure value for money). 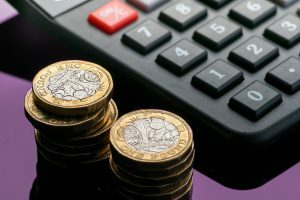 Taxpayers, national bodies and other stakeholders reasonably expect that the auditor will normally be able to provide assurance that the accounts have been properly prepared, are free from material error, and that the body has proper arrangements in place. 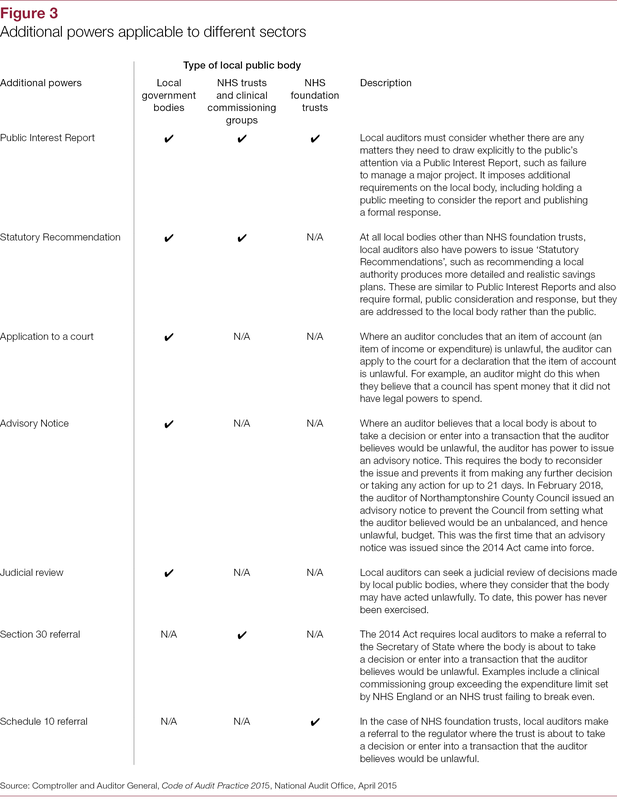 However, the public also rightly expects the auditor to highlight publicly any significant concerns. Auditors can ‘qualify’ their opinion on the accounts or their conclusion on the arrangements to secure value for money. 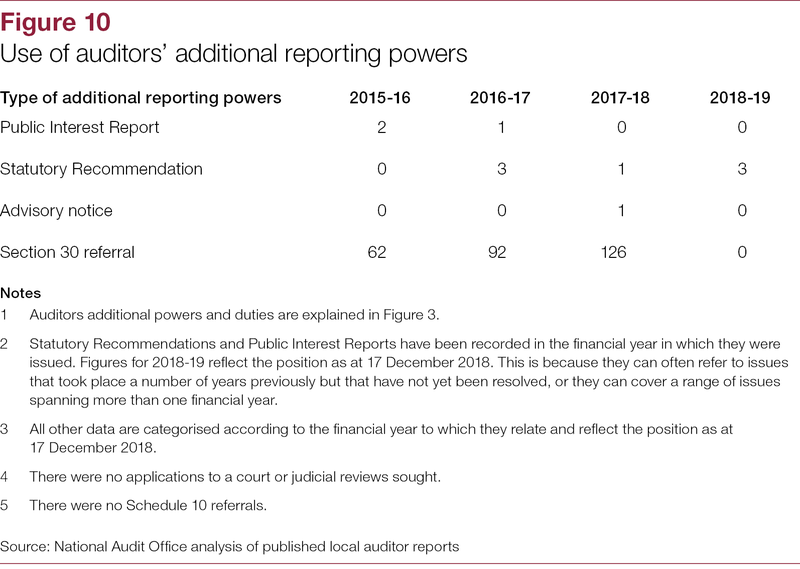 If the auditor’s report contains a qualified opinion or conclusion, or is issued under the auditor’s additional powers and duties, then it is a ‘non-standard’ report. 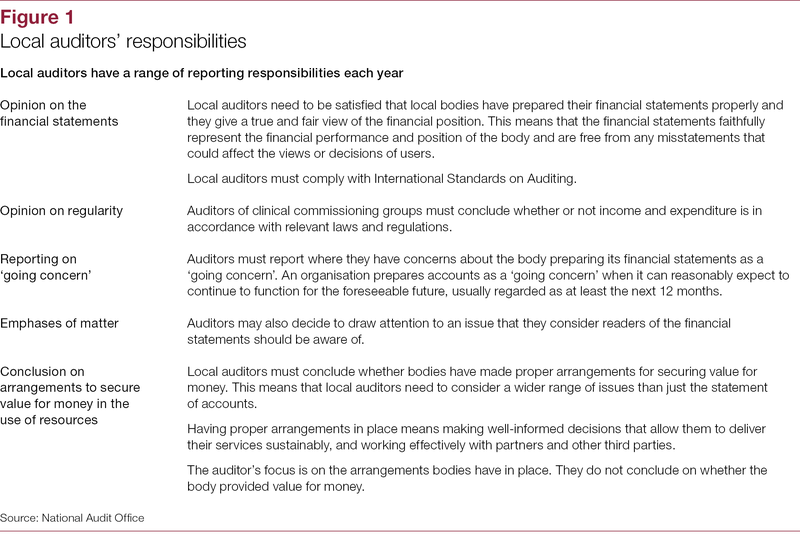 Local and national bodies must take seriously, and act appropriately, when local auditors highlight weaknesses or concerns. Since 2015, the Comptroller and Auditor General (C&AG) has been responsible for setting the standards for local public audit, through maintaining a Code of Audit Practice and issuing associated guidance to local auditors. 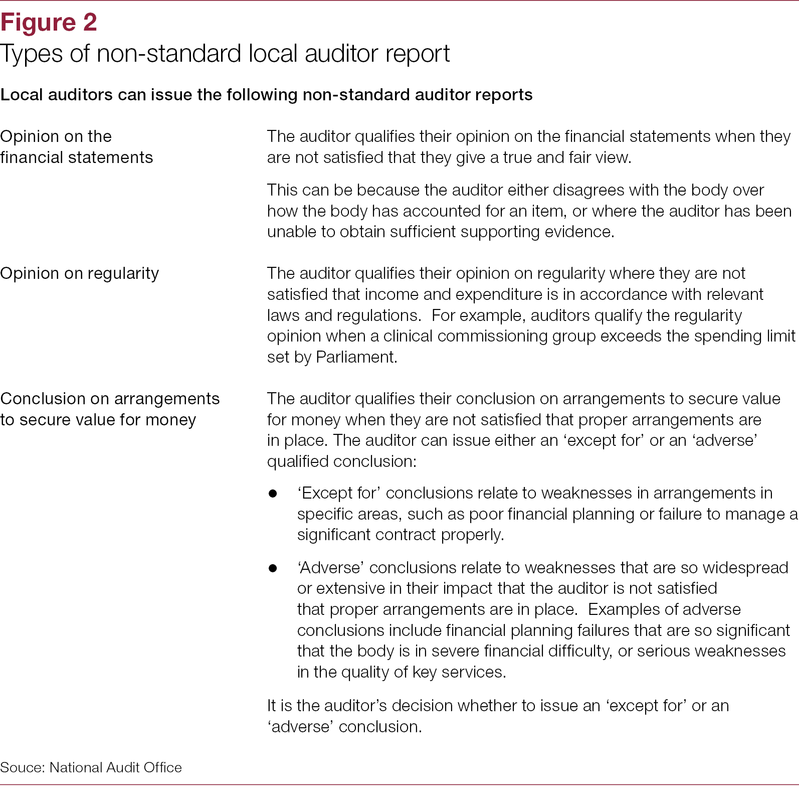 This report provides an overview of the work of local auditors. 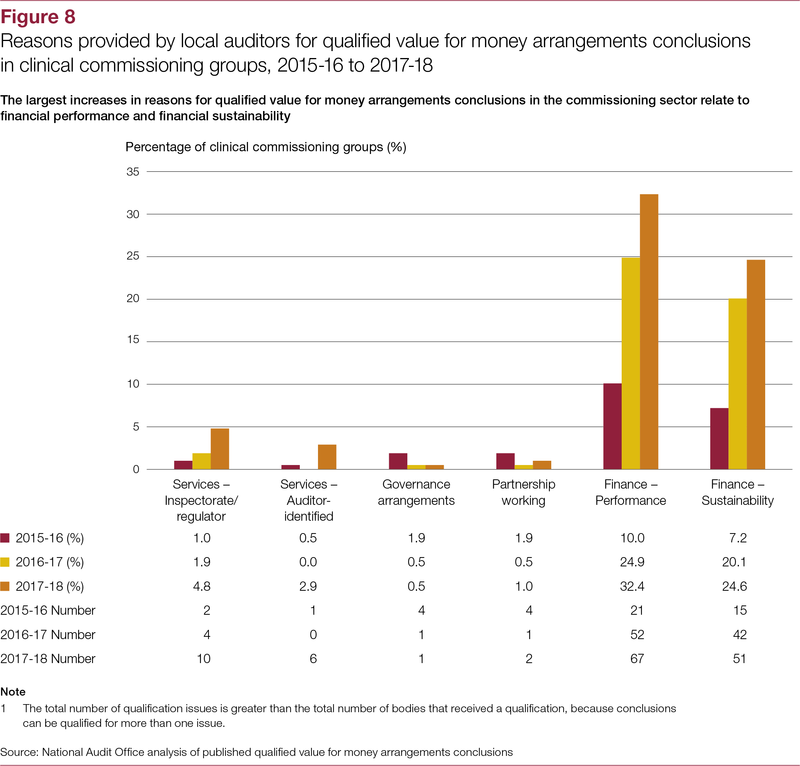 Our report describes the roles and responsibilities of local auditors and relevant national bodies in relation to the local audit framework and summarises the main findings reported by local auditors in 2017-18. 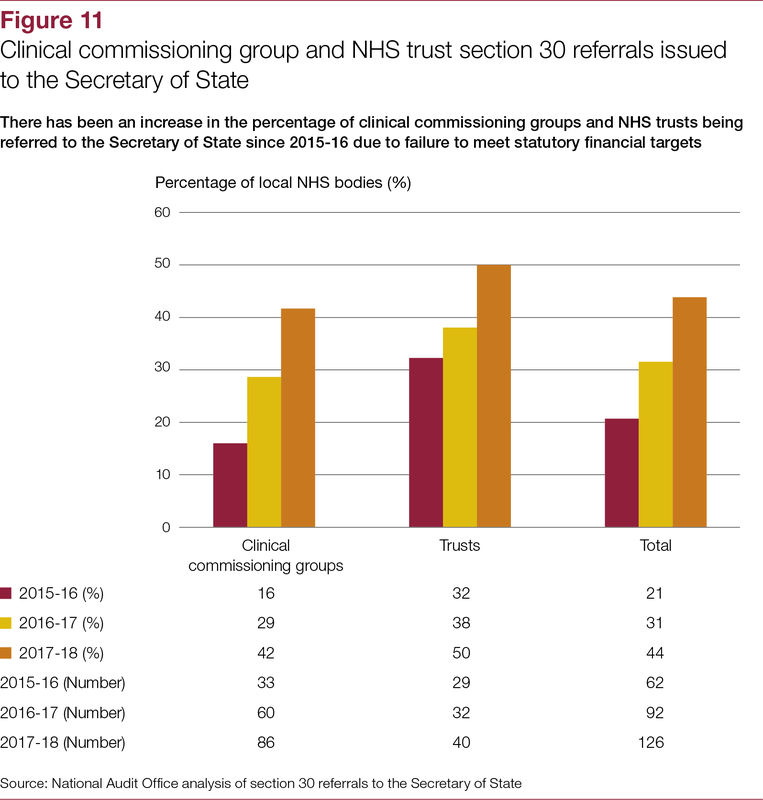 It also considers how the quantity and nature of the issues reported have changed since the C&AG took up his new responsibilities in 2015, and highlights differences between the local government and NHS sectors. 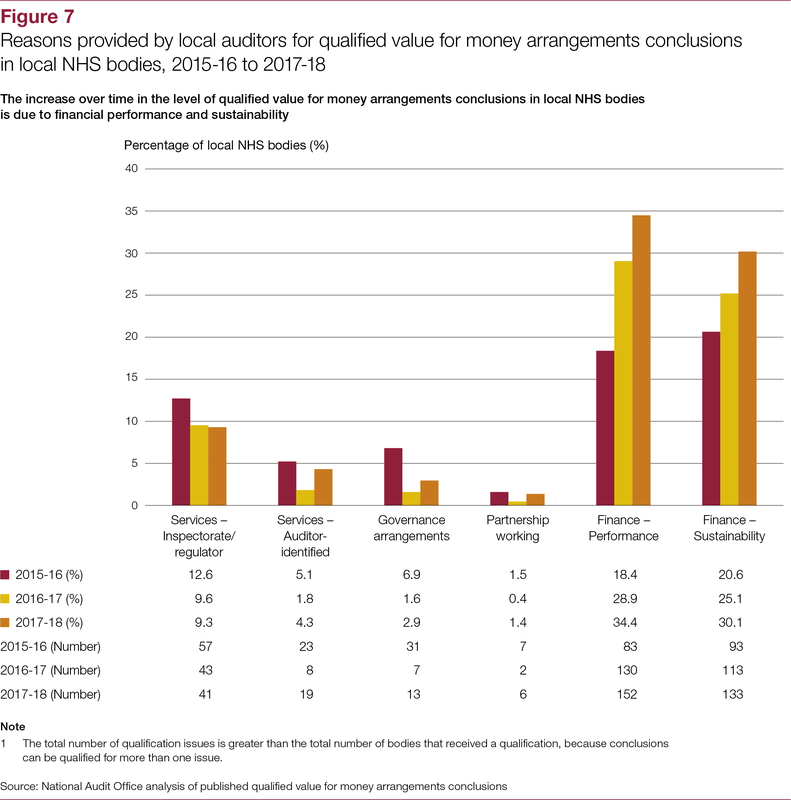 A list of all local bodies that received a non-standard local auditor report for 2017-18 is published alongside our report. Given increasing financial and demand pressures on local bodies, they need strong arrangements to manage finances and secure value for money. External auditors have a key role in determining whether these arrangements are strong enough. The fact that only three of the bodies (5%) we contacted in connection with this study were able to confirm that they had fully implemented their plans to address the weaknesses reported suggests that while auditors are increasingly raising red flags, some of these are met with inadequate or complacent responses. 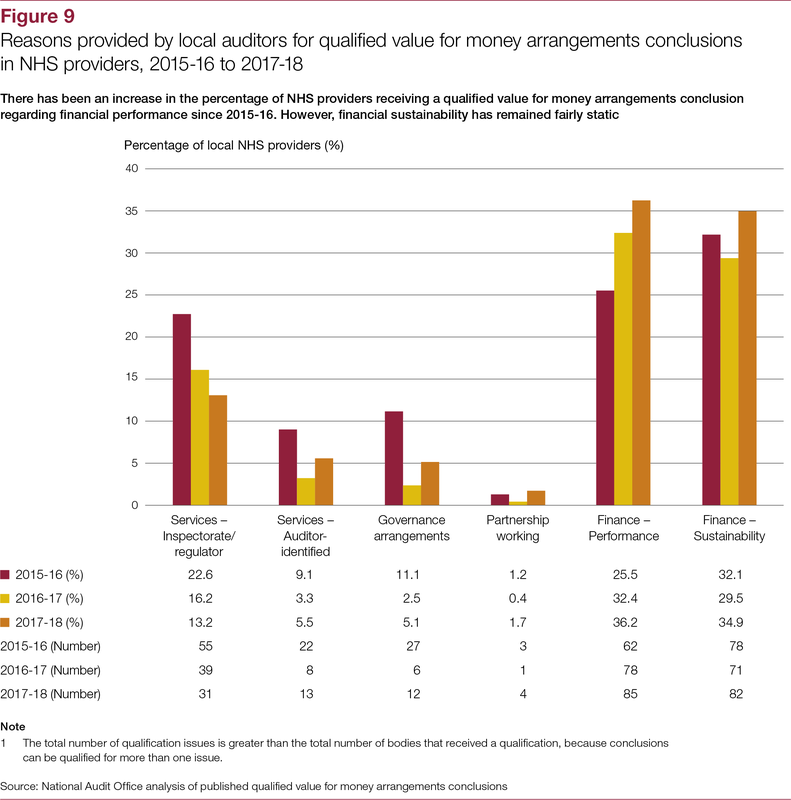 Qualified conclusions on arrangements to secure value for money locally are both unacceptably high and increasing. 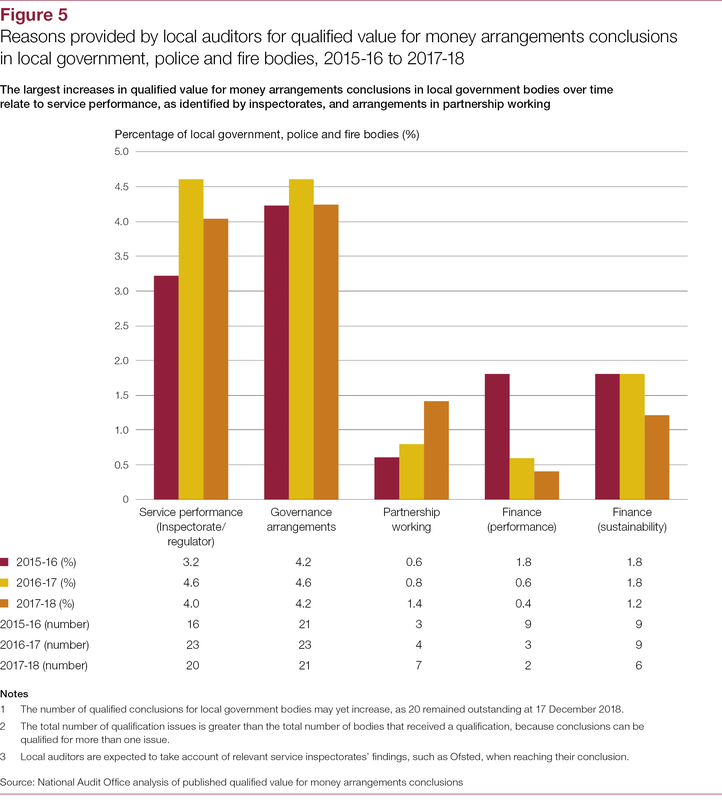 The proportion of local public bodies whose plans for keeping spending within budget are not fit-for-purpose, or who have significant weaknesses in their governance, is too high. 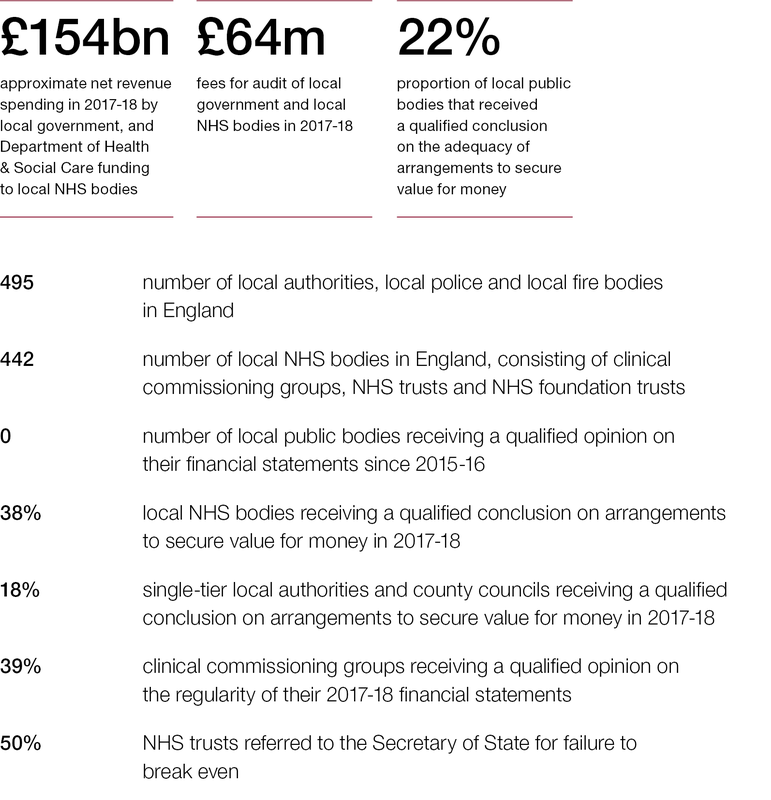 This is a risk to public money and undermines confidence in how well local services are managed. 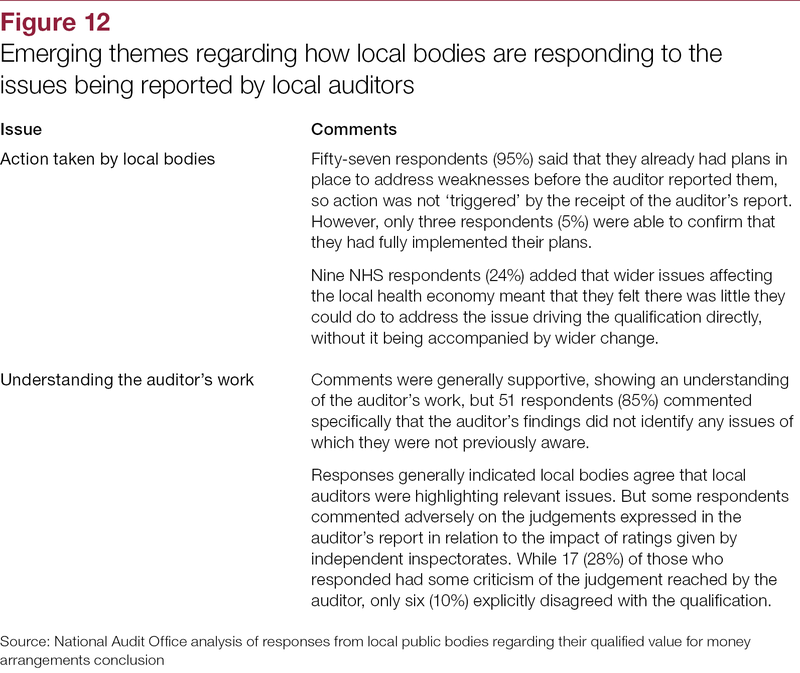 Local bodies need to demonstrate to the wider public that they are managing their organisations effectively, and take local auditor reports seriously. Those charged with governance need to hold their executives to account for taking prompt and effective action. 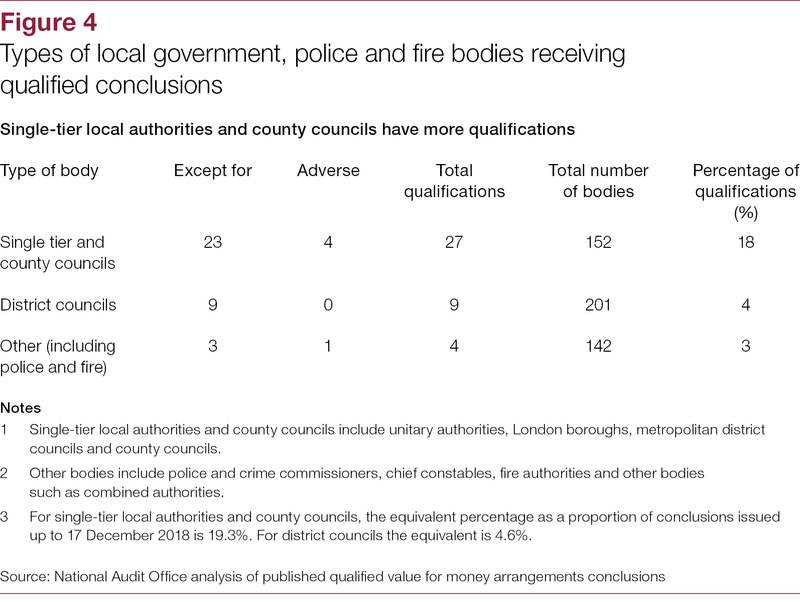 Local public bodies need to do more to strengthen their arrangements and improve their performance. 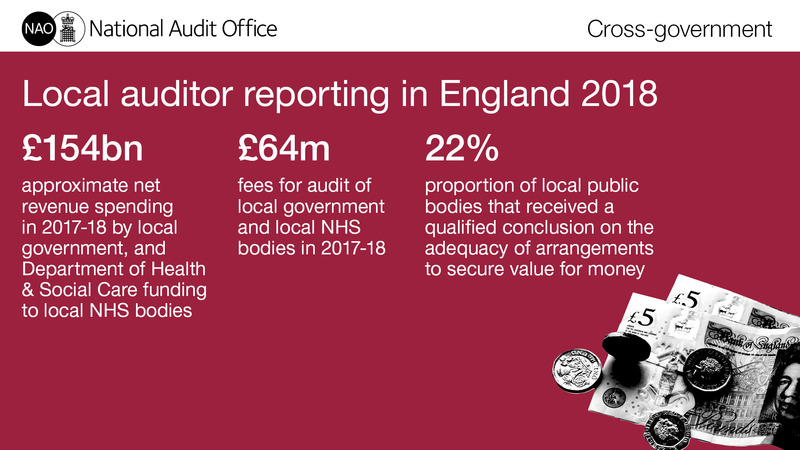 Local auditors need to exercise the full range of their additional reporting powers, where this is the most effective way of highlighting concerns, especially where they consider that local bodies are not taking sufficient action. Departments need to continue monitoring the level and nature of non-standard reporting, and formalise their processes where informal arrangements are in place. The current situation is serious, with trend lines pointing downwards.